Rothschild hired a son of a Jewish Rabbi named Adam Weishaupt to create a psuedo-Masonic looking front- [The Illuminati] and armed him with massive funds and contacts the stage was set. Weishaupt took the name, Spartacus, because, like the Roman warrior, he was dedicated to freeing the [opressed masses] from the oppression of all monarchies and religious powers, his desire to shake off the yoke of limitation would include not only governments and organized religion, but also the institution of marriage, and even family…. Ordered or nationalistic governments in the form of monarchies. Social order in families, sexual prohibition laws and all moral codes. All religious disciplines based on faith in a living God, as opposed to faith in nature, man, and reason. This is almost word-for-word from Karl Marx’s THE COMMUNIST MANIFESTO and that these six points are also perfectly consistent with the Protocols in general, [once again proving their legitimacy]. Weishaupt’s vision for a future world was a full-on Communism, with all possessions, even children, held in common. At its beginning, the Illuminati was not a Masonic order, and Weishaupt himself did not enter a lodge until 1777, when he received induction into the Lodge Theodore de Bon Conseil in Munich. However, once inside Masonry, Weishaupt immediately saw its potential value to be a vehicle for the realization of his Illuminati dreams. To create an official union between the Illuminati and Freemasonry, Weishaupt set about organizing the Congress of Wilhelmsbas at the Castle of William IX of Hesse-Kassel, to occur on July 16, 1782. That special even, which was momentous in both size and aspirations, was attended by elite representatives of Masonic lodges from all over. However, there was another, tacit reason for the change in Masonic policy towards the Jews, money was needed….And the Jews where the principal bankers of Europe, a role they had assumed since the time of the fall of the Knights Templar. And don’t forget King William IX was in debt at the time, and was in general a psychopatic individual. When the time came for a vote on their admittance at Wilhelmsbad, the Jews were so anxious to win the day that they completely filled the hall with other Jewish supporters. 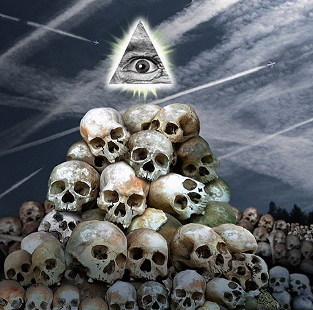 It was not long afterwards that the Illuminati membership included an abundance of Jewish banking families, including the Rothschilds, the Oppenheimers, the Wertheimers, the Schusters, Speyers, and Sterns. New lodges of predominantly Jews were formed in Frankfurt the Rothschild’s financial capital in Europe, and soon all of Illumininzed Freemasonry would make the city its world headquarters. The first order of buisness for the Illuminati-initiated Jews, who were the was to manifest their prophesied Zion, a world ruled by the chosen people of Yahweh. Plans were set in motion for the Jews to finally have their “land of milk and honey” that had been promised to them for so long [in their own Jew minds] and it would be the entire world. The opportunity for manifesting their Zion arrived with the Russian Revolution, which was financed by the Jewish bankers. One of their own, the German Jew, Karl Marx, had catalyzed the event with the publication of his Commnunist Manifesto. Karl Marx who’s real name was Rabbi Mordechai Levi was a member of the League of the Just of which would lead to the creation of the Communist League. The motto of the League of the Just (Bund der Gerechten) was “All Men are Brothers” and its goals were “the establishment of the Kingdom of God on Earth, based on the ideals of love of one’s neighbor, equality and justice”.. See how Christianity is the twin of Communism. The Bolshevik leader of the Revolution, Lenin, who on both sides of his family was of Jewish lineage, contributed his plan for a centralized government that would be controlled by a Jewish oligarchy. After Lenin and his Illuminati cohorts raised their flags at the end of the Russian Revolution, their new communist government emerged with Jews occupying at least 75% of its highest positions…And end up with 60 million Gentiles murdered by the Jews, by the time Communism was over. 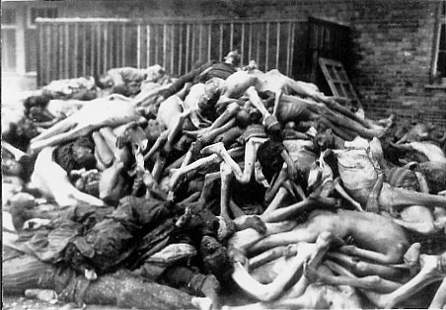 Many of them murdered in an organized system of camps all run by Jewish Commissar’s. Which leads to Communism in the end. The Jews hold all wealth and power and the Gentiles are reduced to total slavery to global Jewry’s One World Order. The nations will gather to pay homage to the people of God: all the fortunes of the nations will pass to the Jewish people, they will march captive behind the Jewish people in chains and willl prostrate themselves before them, their kings will bring up their sons, and their princesses will nurse their children. The Jews will command the nations, they will summon peoples whom they do not even know them will haten to them. The riches of the sea and the wealth of natons will come to the Jews of their own right. -Isidore Loeb [Le Litterature des Pauvres dans la Bible]. What were the effects of the subversion of Free Masonry by the Jews, within the organization? Masonry is based upon Judaism.Eliminate the teachings of Judaism from the Masonic Ritual and what is left? Here it should be obvious why the Third Reich banned such organizations within Germany. They are organs of Jewish Communism.